Winter is upon us, which means weather is getting colder and air is getting dryer. This also means that many people may be dealing with dry skin. 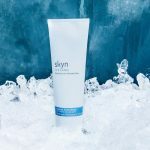 If you suffer from dry skin during wintertime, either slightly dry or extremely dry skin, we have some solutions for you. We’ve found a couple of vegan and cruelty-free moisturizers for winter months that will keep your skin hydrated, soft, and supple. 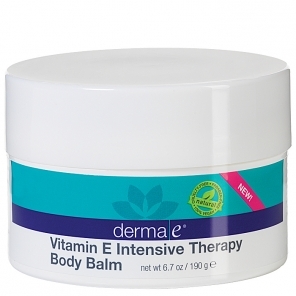 Derma e’s Vitamin E Intensive Therapy Body Lotion offers a light formula that’s heavy on moisturization. 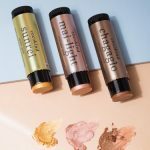 It’s a non-greasy and super luxurious-feeling vegan moisturizer that comes in fragrance-free and lavender-scented options. 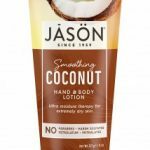 This winter-ready vegan cruelty-free lotion is packed with vitamin E, in particular alpha, beta, gamma, and delta tocotrienols from cranberry seed and sustainably harvested red palm oil. It’s great for applying on hands, arms, and the rest of your body, quite frankly. We love the way Derma e’s Vitamin Intensive Therapy Body Lotion makes every part of our skin feel, even in windy weather that can really chap skin. Derma e’s Vitamin E Intensive Therapy Body Lotion is 100% vegan, cruelty free, paraben free, GMO free, phthalate free, and petroleum free. If you want a winter body lotion that will leave you smelling like a morning-baked holiday goodie, try Surface’s Acai & Blueberry Body Lotion. 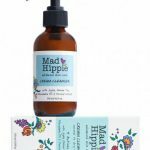 This vegan and cruelty-free lotion is lightweight and non-greasy. It’s made with hydrating and healing gifts from nature like potent fruit extracts. Surface’s Acai & Blueberry Body Lotion combats dryness with a special formulation of plant ingredients that are known for restoring water balance. This lotion gives you an effective tool in keeping your skin young looking, smooth, and vibrant even under the harshest of conditions. The Acai & Blueberry Body Lotion from Surface renews, protects, repairs, and hydrates skin while remaining cruelty-free. This product is not tested on animals. 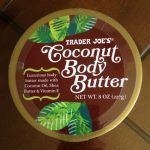 These are two of our favorite vegan moisturizers for winter. We love the way they leave our skin feeling, so we apply them day and night. If you want to purchase either of these products, you can order them on the companies’ websites or on Amazon. You can also find the Derma e line at some Whole Foods. 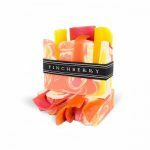 They’re inexpensive, and they make great stocking stuffers or gift basket additions. Winter is upon us, which means weather is getting colder and air is getting dryer. This also means that many people may be dealing with dry skin. If you suffer from dry skin during wintertime, either slightly dry or extremely dry skin, we have some solutions for you. We’ve found a couple of vegan and cruelty-free moisturizers for winter months that will keep your skin hydrated, soft, and supple.